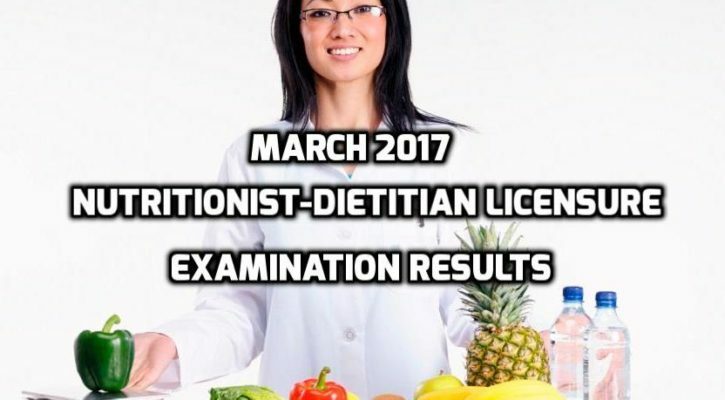 The Professional Regulation Commission (PRC) recently announced the list of passers for the March 2017 Nutritionist-Dietitiasn Licensure Exam held on March 15-16 this year. The examination venues include Baguio City, Metro Manila, Cebu City, Davao City as well as Zamboanga City. The in-charge persons for the board exam include the Chairman of the Board Virgith B. Buena with two there board members Imelda A. Agdeppa and Rhoda Joy R. Buenviaje. 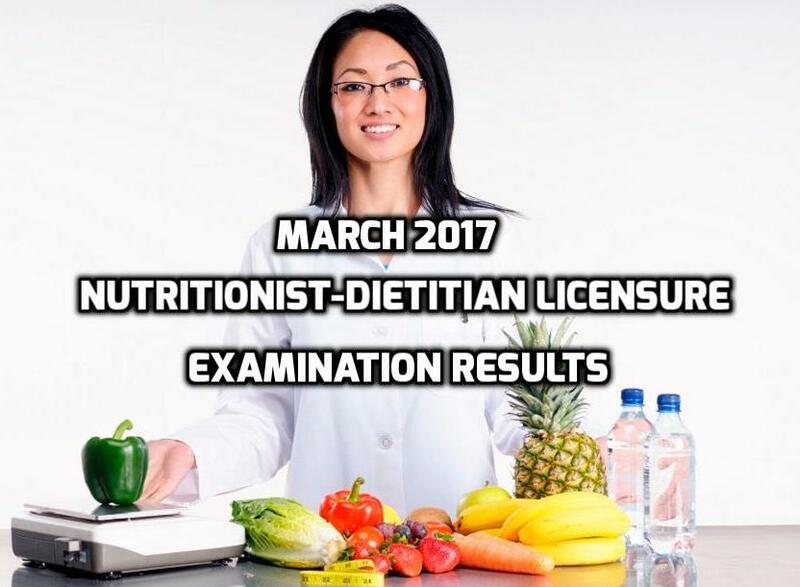 The 2-day examination is a success because 755 applicants passed the board out of 1,047 takers. 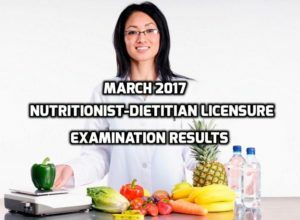 Roll of Successful Examinees in the NUTRITIONIST – DIETITIANS LICENSURE EXAMINATION Held on MARCH 15 & 16, 2017 Released on MARCH 20, 2017.